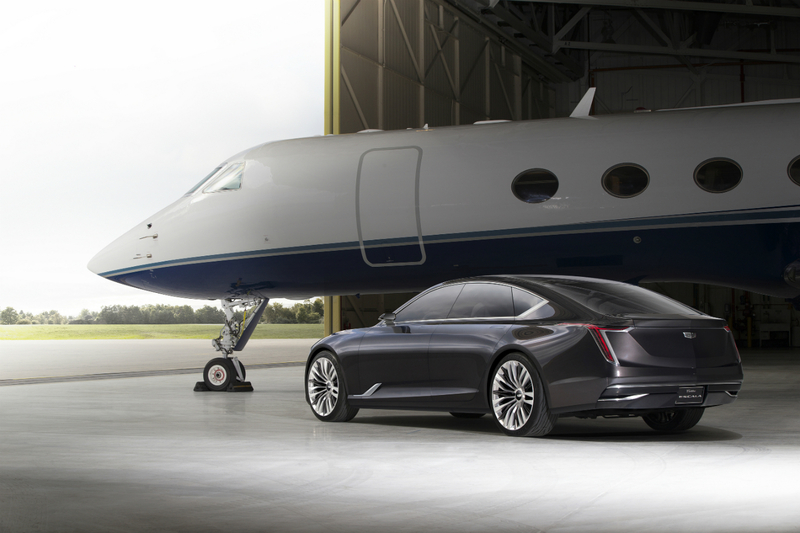 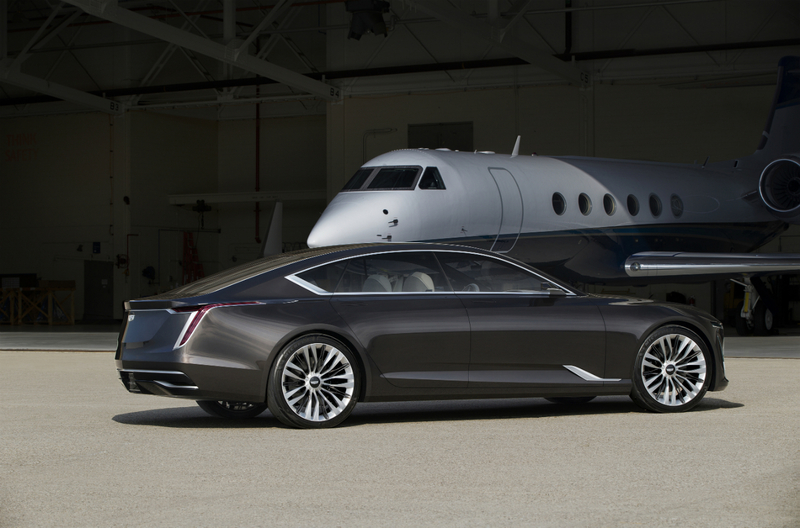 To look at the Cadillac Escala concept car is to see the future of the Cadillac brand through the designers’ eyes. 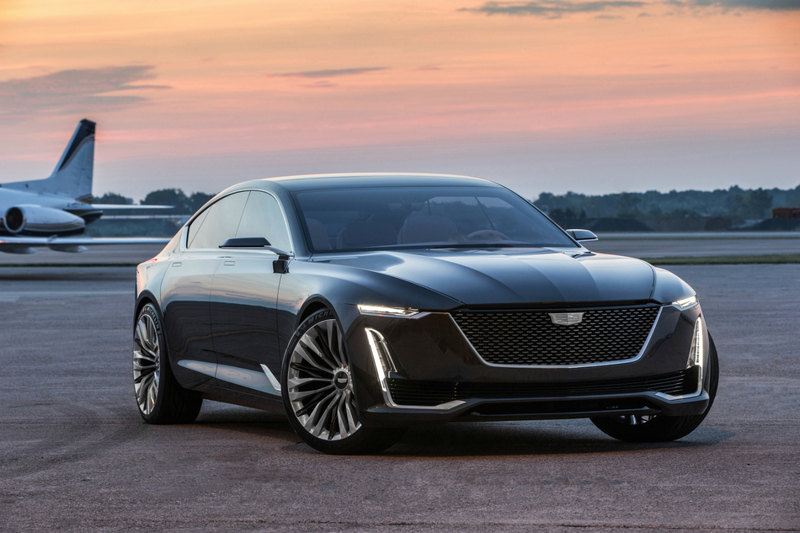 This concept, a highlight of Cadillac’s exhibit at the 2017 Canadian International Autoshow at the Metro Toronto Convention Centre—opening on February 17 and running until the 26, though the vehicle is only on display until February 18—combines varying design elements into a single vision for a future flagship sedan. 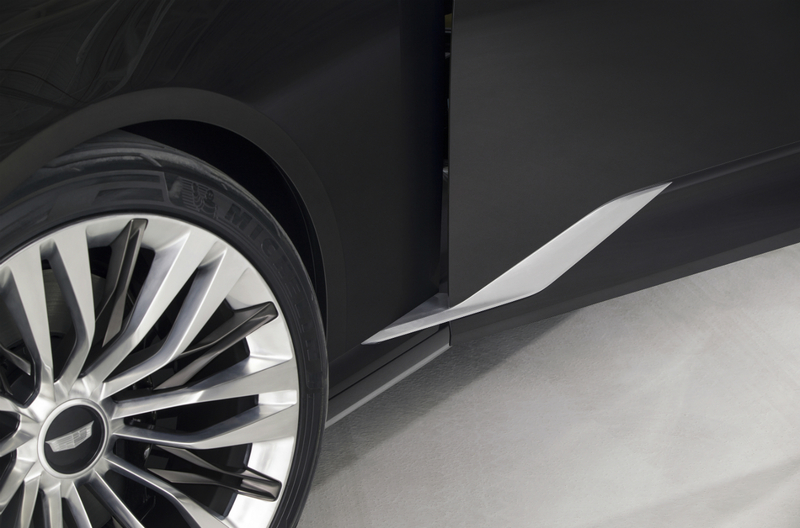 Those details start at the exterior and extend inward, with each playing a purposeful role. 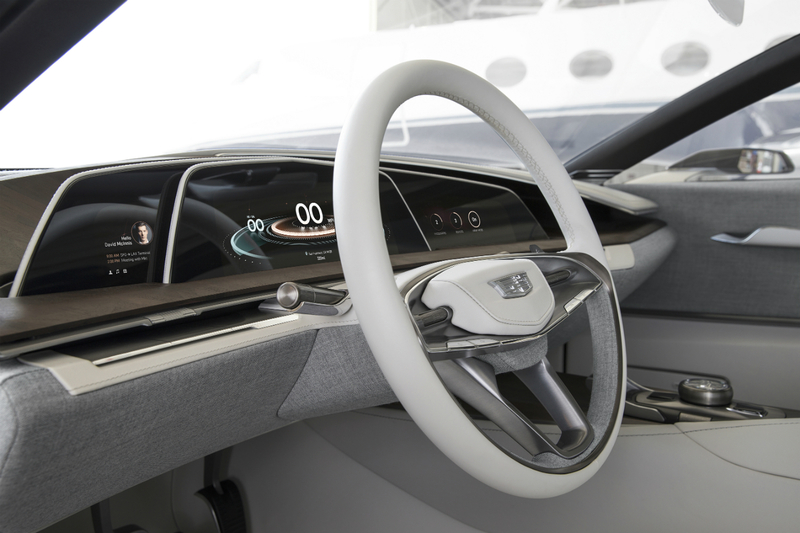 The initial sketches for the outside of the car began with three simple, clean, and fluid horizontal lines onto which key elements were added. 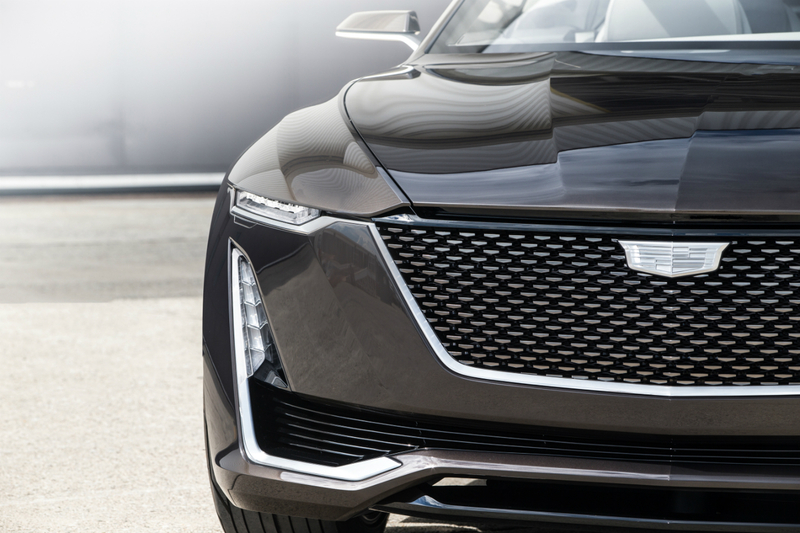 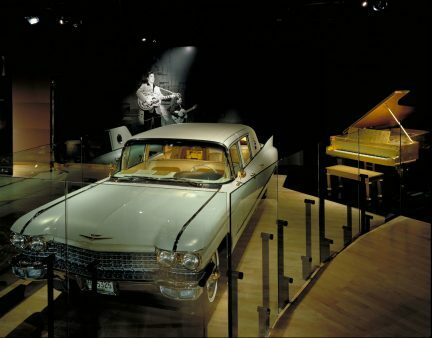 The OLED headlamps, made with carbon-based materials, contribute to a walk-up look that Cadillac refers to as “sinister”. 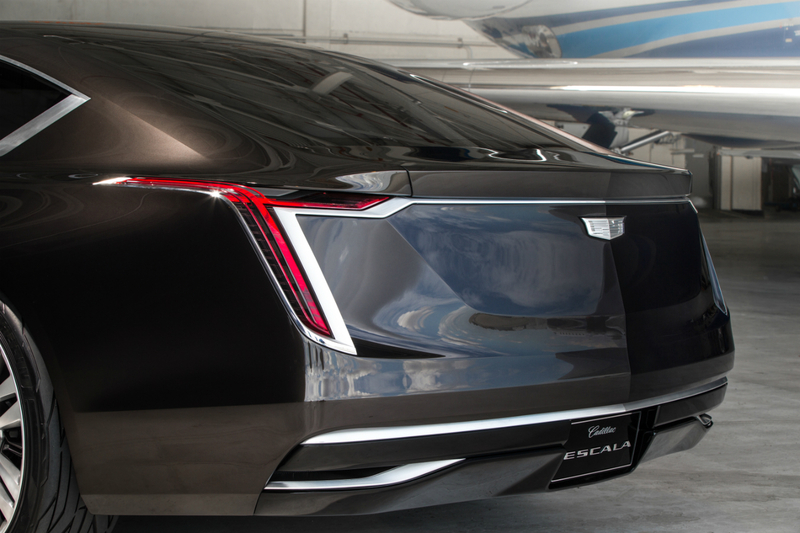 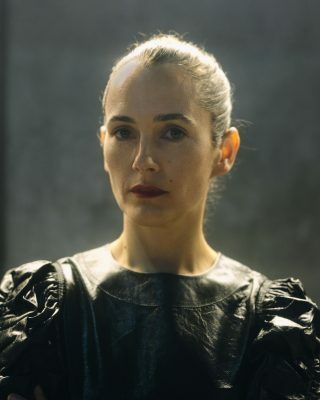 “Because of their positioning within the fascia, they’re set so deep, and they have this beautiful thin horizontal element that it just created this sense of sinister on the front end,” Killen says. 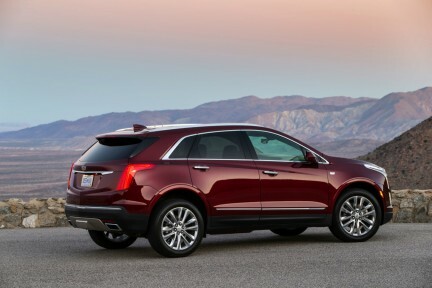 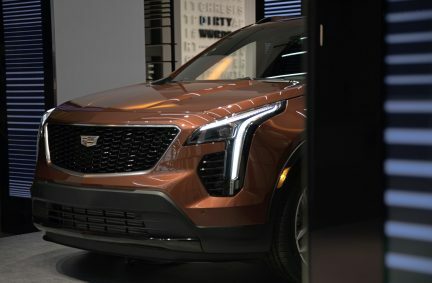 Set between them, the grille is a departure from Cadillac’s traditional chrome-laden design and features a high-gloss black chevron repetition with depth added through bronze chrome top highlights.